Floodplains, ravine slopes, and presumably fields and fencerows. The stamens number ca. 20 in this species, which is apparently restricted to Michigan. Its origin may be an intersectional hybrid. MICHIGAN FLORA ONLINE. A. A. Reznicek, E. G. Voss, & B. S. Walters. February 2011. University of Michigan. Web. 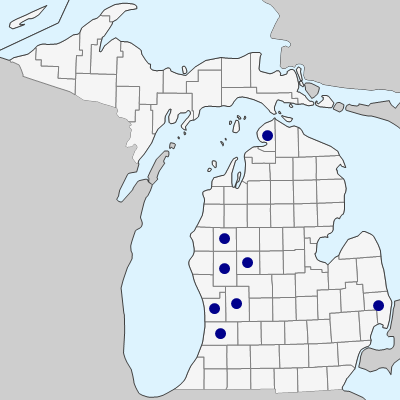 April 21, 2019. https://michiganflora.net/species.aspx?id=2440.